Location, Location, Location!! 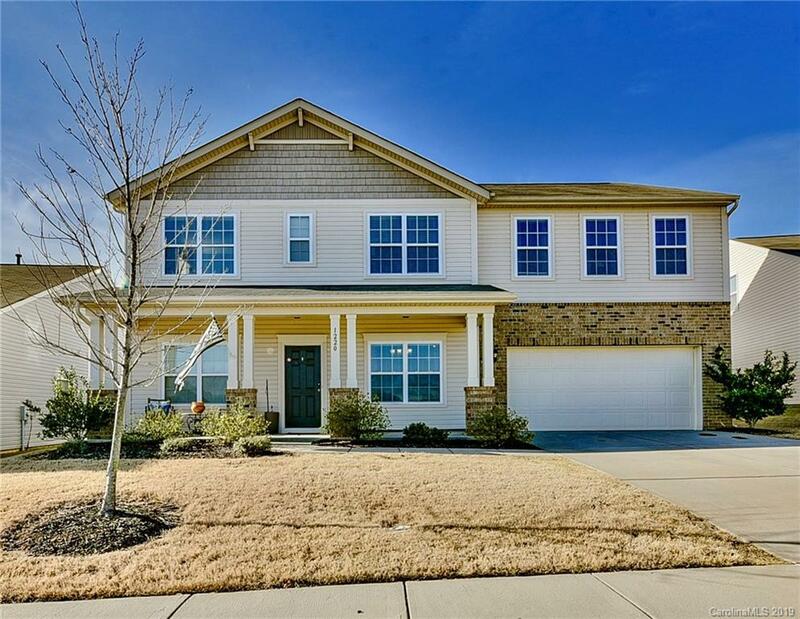 Sought after Fairhaven subdivision, close to highway 74, 485 and the Monroe Expressway. One of the top selling MI Homes Galloway Open floorplan with guest bedroom, full bath and study on main level. Built in 2013.Huge kitchen with center island with bar and drop zone counter area beside garage door. Granite counter tops and tile backsplash. Electric range-oven, Stainless appliances. Hardwoods in kitchen, breakfast area and entry hall. Extra large master bedroom, Master bath has Garden Tub, Separate shower and dual vanity sinks and one of the larges master closets I have seen! Ceiling fans, neutral paint, patio overlooking large back yard! Conveniently located to community pool and play area. Make this your home today.